The composer, pianist and improvisor was born in Graz, Austria. 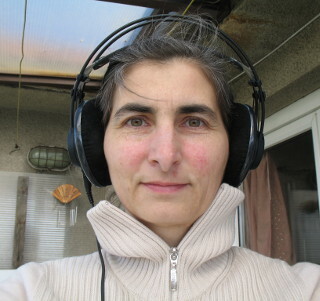 Her work is based on electronic and instrumental, notated and improvised music. A focal point lays on spatial conceptions, multichannel pieces in combination with instruments and/or voice, also on pure „acousmatic music“ and soundart. The interpenetration of instrumental and (live)-electronic access is the subject of many works. Also crossover projects in the areas music-text-video-performance and sound installation are represented. A special interest lays on the piano and extended playing techniques for it. She is a founder and member of several ensembles for improvised and collective composed music. International concerts and performances at festivals for improvised and contemporary music. Several scholarships, awards, prizes, amongst others honorary mention at Ars elecronica 2006, Austrian „Kunstpreis“ in the category music 2013, Gustav Mahler Preis 2017 Austria.